Homicides are rare, but occur with nearly equal frequency in PSA 107 and PSA 108. 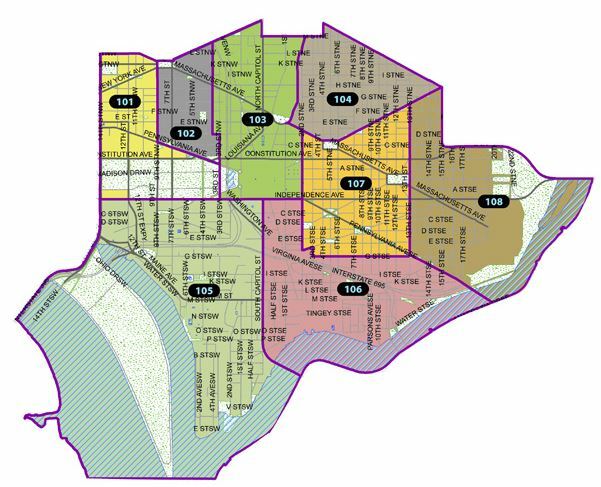 Robberies where no gun is involved occur more frequently in PSA 107 – likely owing to the commercial corridors along Pennsylvania Avenue, Barracks Row, and near Eastern Market. Robberies with guns occur with nearly equal frequency in PSA 107 and PSA 108. Assaults without a gun are far more frequent in PSA 108, possibly owing to disputes between students at or near Eastern High School as well as domestic violence in the primarily residential area. 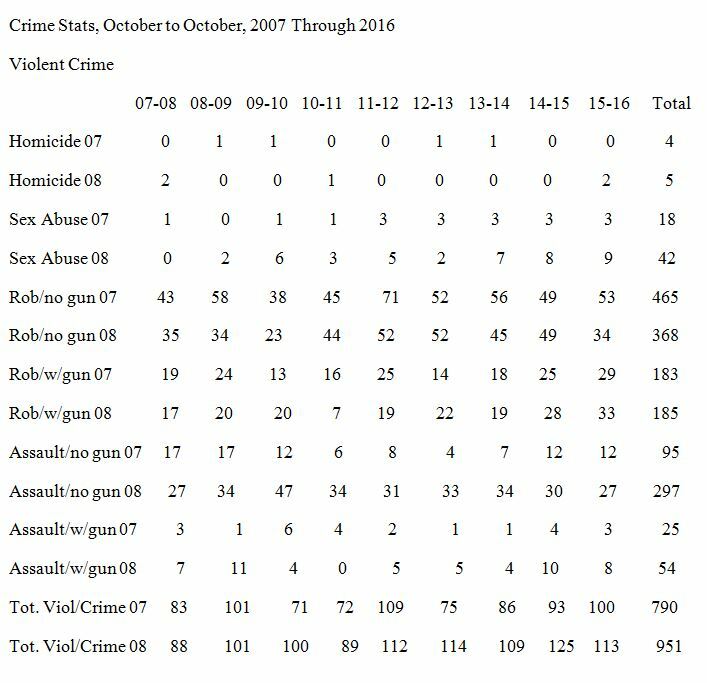 Assaults with a gun occur rarely, but twice as frequently in PSA 108. Burglaries occur at similar rates in the two PSAs – PSA 107 has had about 9% more, but burglaries are trending downward in both PSAs. Far more opportunity crimes – thefts and thefts from autos – occur in PSA 107. Thefts include packages, bikes, clothing, and phones – again, likely owing to the commercial corridors. A lot of autos are stolen and they occur at nearly the same frequency in both PSAs. Arson is rare and – during the period examined – occurred exclusively in PSA 108. 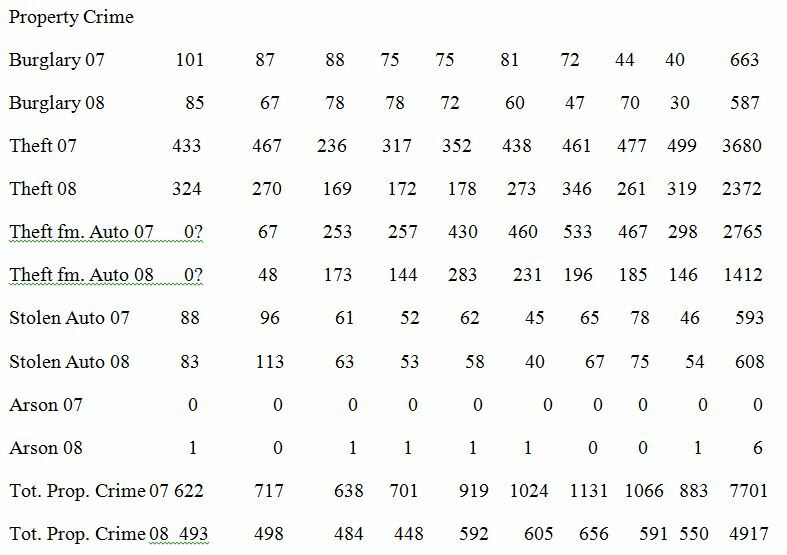 In the past nine years, PSA 107 has had about 36% more property crime than PSA 108. Drug crimes – which don’t show up in statistics until an arrests is made – are not tracked on the MPD Crime maps. MPD’s Public Information Office occasionally issues an activity report whenever the Narcotic Enforcement Unit, Gun Recovery Unit, and Criminal Interdiction Unit announce recent arrests in the District.